Vail, Edward B., photographer, 218 Center, Marion, OH (1900) See census; Edward B. Vail, hand cameras, brds 218 E Center, h same, Marion, OH (1901) City Directory; Edward B. (Violet), photog, 218 E Center, h 218 1/2 do, Marion, OH (1915) City Directory; Edward B., Vail (Violet), propr Vail's Photographic Studio and Art Store, h 186 1/2 E Center, Marion, OH (1917) Tel 2851, City Directory; Edward B. Vail, photographer studio, 186 1/2 East Center St., Marion, OH (1920) See Census; Edward B. Vail, Proprietor Picture Studio, 186 1/2 East Center St., Marion, OH (1930) See Census. Edward B. Vail born 13 May 1872 in Marion, OH, died 1 Mar 1939 in Marion, OH, married 10 Oct 1906 Violet Bayliss, one son. Edward B. Vail, son of Joseph Andrew Vail, photographer, and Elnora Burrell. Vail, J. A., photographer, Center St., Marion, Marion Co., OH (1875-1876) Williams' Ohio State Directory; J. A. Vail, photographer, (Third story, Bennett's Block), Marion, OH (late 1860s-1870s) cdv image; Joseph Vail, artist, West Street, Marion, OH (1880) See census; Vail, photographer, Marion, OH (1890s-1900) cabinet image; Joseph A. Vail, photographer, 218 Center, Marion, OH (1900) See census; Joseph A. Vail (Ella B), photographer, 218 E Center, h same, Marion, OH (1901) City Directory; Elnora B. Vail (wid Joseph A. ), brds 218½ E Center, Marion, OH (1915) City Directory. Joseph Andrew Vail born Jun 1846 in Middletown, OH, died 19 Jan 1906 in Marion, OH, marr 27 Oct 1870 to Elnora Burrell. Child: Edward B. Vail. 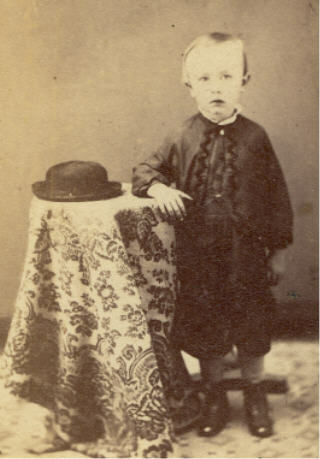 Joseph Andrew Vail, son of William Webster Vail and Lucinda P. Brown. 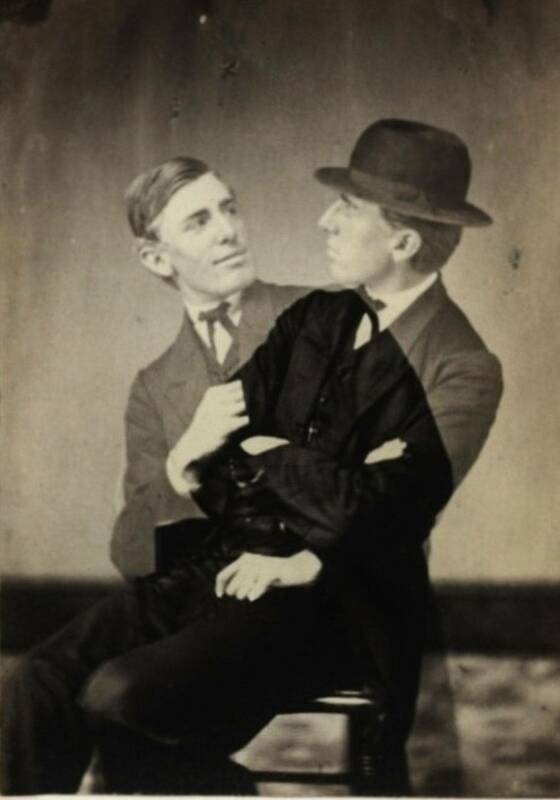 Van De Wall, F. & Son, photographer, Lancaster, WI. VAN DE WALL, W. B. VAN DER VOORT, BALDWIN H.
Vaughan, Photo., 18 Third St. (1870s) cdv image; Vaughan's Gallery, Karras & Brown proptrs, 18 Third, San Francisco, CA (1880) City Directory; Vaughan, photographer, 18 Third St., S.F. 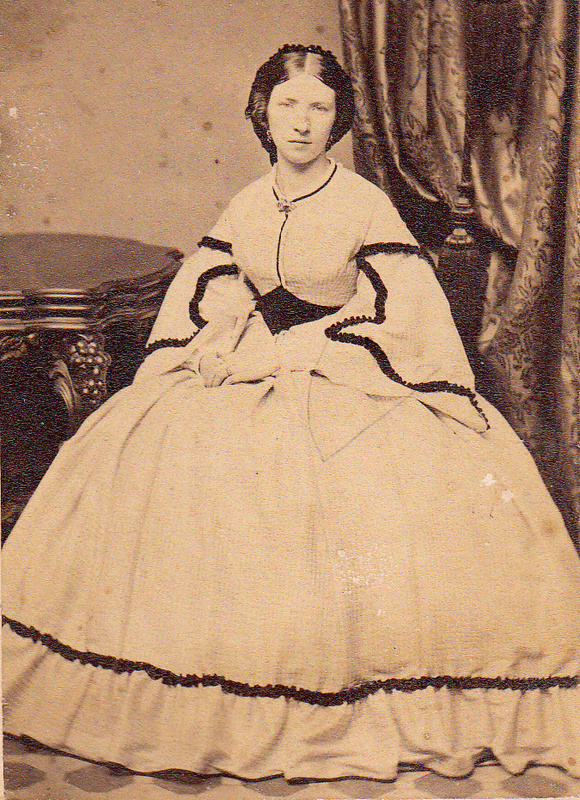 (1870s-1880) *cdv identified as "Mary F. or T. More 'mother' of Mary L. More"
Venner, Geo. W., photographs, Charlestown, MA (1867) Massachusetts Register; G. W. Venner, photographer, 174 1/2 Main St., Charlestown, [MA] (1860s) cdv image seated lady; G. W.
Vincent, The Cabinet Portrait, Cincinnati, OH (1870s) tinted cab of earlier image identified as "Dad's Mother"; Vincent, The Cabinet Portrait, Cincinnati, OH (1880s-1890s) cabinet card of colorized image from late 1850s. Identified as "Julie A. Williams, born 1836 and died May 1, 1870"
Vose, S. S., photographer, Skowhegan, ME (1876) Briggs' Maine Business Directory; S. S. Vose & Son, from, photographers, Waterville, ME (1870s) cdv image identified as "Will Varney"
Voss, N. A., photographer, Hays, Ellis, KS (1895) KS State Census. N. A. Voss born abt 1848 in Germnay, m Mary E. Voss, dau Eda L. Voss b abt 1884 in KS. He came to Kansas from Wisconsin; N. A. Voss, photographer, Gallery, Hays City, Big Creek Twp, Ellis Co., KA (1910) See census.